What is preterm premature rupture of membranes? Preparing for a child’s birth should be an exciting time for a parent. However, it’s always possible for complications and problems to occur during delivery. One type of complication happens when the mother’s water breaks prematurely. This is known as premature rupture of membranes (PROM) and will not normally cause serious issues for either the woman or child. Preterm premature rupture of membranes (PPROM), however, can present far more serious problems and threaten the health of the unborn child. It’s important to understand the risk factors and complications of PPROM. What Is PROM and PPROM? When a pregnant woman is ready to deliver her child, usually her water breaks. The membranes, or layers of tissue holding fluid, rupture. However, sometimes her water breaks when there is no sign of labor. This is called premature rupture of membranes (PROM). If the woman is beyond 37 weeks of pregnancy, babies are considered full term, so PROM is not typically a reason for concern. If the woman’s water breaks before the 37th week of pregnancy, this is called preterm premature rupture of membranes (PPROM), and it is a far more serious condition for the mother and child. Basically, the earlier these membranes rupture, the more critical the health issues. What Causes PROM and PPROM? What Are the Dangers of PPROM? If your doctor failed to treat an infection, STD, or other problem that caused your PROM or PPROM or failed to diagnose and treat the condition leading to your child’s birth injury, you may want to seek legal help. Contact the Holton Law Firm in Memphis at 888-443-4387 to discuss your case. With you’re about to give birth, you want to feel sure that, as a parent, you’ve done everything you can to deliver a healthy baby. However, sometimes deliveries don’t go as planned, and the doctor needs to use special equipment to help deliver your child. This is called an “assisted” delivery. 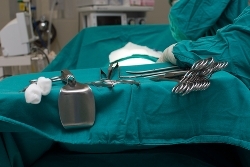 Sometimes the doctor will use forceps—an instrument that looks like a long pair of tongs; or, he may use a vacuum extractor to apply gentle suction to the top of the baby’s head to help pull or “vacuum” the baby out of the vaginal canal. Approximately 10 percent of births need help with special equipment, and while vacuum extractions have grown in popularity, there are dangers involved with this assisted delivery. It’s important to know how this assisted delivery happens and the dangers it could present to your child. The baby is displaying a fatal heart rate. The baby isn’t progressing properly to the second stage of labor. The baby is not positioned properly and/or gets stuck during the process of birth. The mother is in the second stage of labor for too long. The mother isn’t able to finish the vaginal birth because of fatigue. The mother’s pelvis is too small for the birth. The baby is too large. If your child suffers any of these damages, he is at risk of cerebral palsy as well as intellectual and motor disabilities. If your doctor does not properly use the vacuum extractor because he is inexperienced, the fetus is premature, or there are other labor complications, your child could be at risk for these injuries. If your child has suffered injuries due to a vacuum extraction, don’t hesitate to contact the Holton Law Firm to help you build a case. A birth injury can change the life of a child and your entire family. Contact us for a free consultation. If you are involved in a car accident and file a lawsuit against the negligent driver, you may have to deal with a process known as subrogation if you win. This process allows for the healthcare insurance company to be paid back for the medical bills it paid on your behalf if you win your lawsuit and recover damages. After an accident, you may have a growing number of medical bills to deal with it. Hospital stays, doctor visits, medication, and other treatment can make the cost of an accident very expensive. Usually, a secondary payer such as a private health insurance company will cover the costs of these expenses. If you take legal action against the negligent driver and receive compensation after the case, that secondary payer will want to be paid back for the amount covered for you. In other words, that company has a right of subrogation. If you’ve hired a legal representative but don’t have insurance, the attorney can help get you needed medical assistance and have your medical bills paid. However, if you recover damages after your lawsuit, those medical providers who helped with the cost expect to be reimbursed. In this case, the medical provider has a right of subrogation. It’s important to know that subrogation is often negotiable. The amount you owe back to the insurance company or other party may be far less than what is being communicated. And a skilled attorney can help you with this part of your financial obligation of reimbursement. Additionally, your insurance company is required to let you know they are seeking subrogation. Failing to communicate this action is against the law. If you’ve been in a car accident and need assistance with your case and potential subrogation costs, don’t hesitate to contact the Holton Law Firm. We’ll work with you to determine the specifics of your accident and attempt to lower potential subrogation costs. Do I need a copy of the police report after my accident? After seeking medical care for your injuries, one of the first things you should do following a car accident is obtain a copy of the accident report. 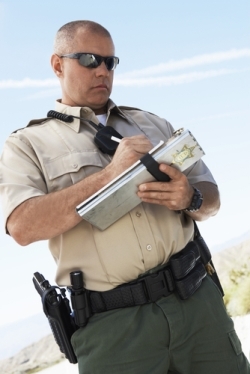 This report was written by the police officer who responded to your accident and contains information that will be important for any accident or injury claim you decide to make. What Information Is in an Accident Report? Also included in the report will be a narrative explanation of what happened in the crash. The responding officer will examine the scene, survey the damage, and interview witnesses in order to piece together what happened and who was at fault. What Can You Do With the Report? Because the officer did not actually witness the accident, his report will not be admissible in court. However, the information will be used by attorneys for those involved and by insurance adjusters to determine fault and settlement amounts. It is important that the information in the report is accurate. If you feel that the report contains inaccurate information, you may be able to take action to correct the mistakes or at least submit an addendum to the report with your version of events. In order to do this, you will need the assistance of an experienced car accident attorney. An attorney will know how to get a report, how to use it to your advantage, and how to correct it if necessary. While you can obtain your own copy of the crash report from the Central Records Office for less than a dollar, if you are planning to pursue a settlement for your injuries, you may want to find an attorney to represent you. Schedule a free evaluation of your case at the Holton Law Firm and we will help you get a crash report and investigate your crash. What is an Accident Report and why should I get a copy of it?